So, Gretchen McNeil invited me to do a post on Books That Changed My World. If you’re on twitter, you’ve probably seen the hashtag floating around. I don’t know about you, but I get excited to read those tweets. 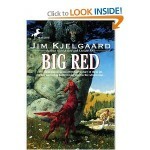 Somehow, knowing my fellow tweetmeisters love so many of the same books as me shrinks the world just a little bit more. Anyway, I feel like there are SO MANY books that made a huge impact on me, but I’m only going to name a few. 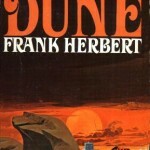 Dune by Frank Herbert: No, I’m not a huge sci-fi fan, but wow—this book just amazed me. I loved the epicness of it, and it first introduced me to the idea of the “chosen one” in fiction. Really, no wonder I became such a rabid Buffy and Matrix fan later on. A Wrinkle in Time: The first book that really drove the point home that love conquers all. Even on other planets. With large brain monsters. 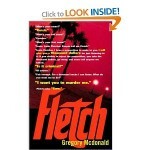 Fletch by Gregory MacDonald: Oh my, how I love this book. Fletch was probably my first anti-hero—charming, dry, and majorly naughty. I credit this book with starting me on my love affair with mysteries. Bridget Jones’s Diary: My first foray into chick lit. Awesomesauce. Probably the reason I like injecting a little humor into most of my writing. Plus, I’m pretty sure I quoted bits of this for years afterwards. Brideshead Revisited: One of my favorite books of all time. The relationships, the humor, the tragedy as everyone struggled to reconcile their religious beliefs with their lives—it’s all so amazing. 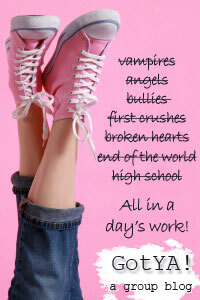 Twilight: Okay, say what you will about sparkly vamps, but this is the book that got me writing again after a long hiatus. So I owe it a huge debt of gratitude. Good Vampire. I could go on and on and on, but I won’t. Instead, please share books that changed YOUR life–I’d love to know! Love how similar yours and Amy’s lists are! Twilight is what got me writing again too. IDK why but after I finished the series, I just got my passion for writing again.